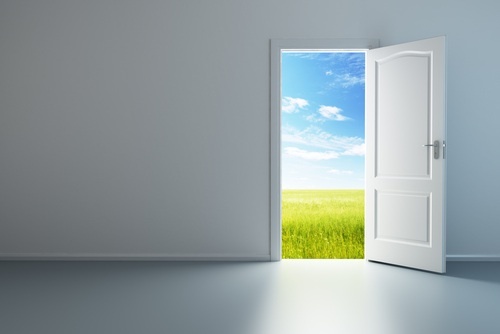 The Solar Eclipses in Pisces and Virgo mean there will be doors opening for us all! It’s all about having fun this year for you. And that’s not just because Saturn is no longer bothering you. Rather, the New Moon eclipses this coming year are lighting up your Friendship and your Fun Zones. And if that’s not a cosmic recipe for a good time, nothing is! With Saturn in your opposite sign, you know that 2016 is going to be a lot about hard work and ambitions. Happily there are professional doors opening up to you as well, thanks to the eclipses. So all that hard work isn’t going to be for nothing. Just as well! Your finances are due for some changes this year, thanks to eclipses in not one but both of your Money Zones. The first step is to believe (deep, deep down) that you’re worth it. Once you get your head around that, an substantial increase in your income really can follow. It’s a big year for you with the eclipse fireworks in your sign and your Love Zone. If you’re single, it’s a wonderful year to meet a long-term or even life partner. Attached? There is change afoot and it’s likely to herald the start of a memorable new phase. A new cycle starts for you this year; your daily life is going to be different. Harness the energies by deciding what you really want to achieve and then dedicating yourself to it. What do you want so much for yourself that you’re willing to work really hard for it? After the hard slog of the past few years, the cosmiverse is sending you message after message to remind you to enjoy yourself. If you have become a bit of a work-a-holic in recent years, the celestial activity in 2016 should shake you out of that! Let it go! It’s a very big year for you and change is forecast at work and at home. Remember that with all the karma around you now, your actions in 2016 will have a major impact on your life in the years to come. New possibilities should open up personally and professionally. There is a school of thought that tells us that ‘our word is our wand’. In other words, what we say is what we get. This year, your life will blossom if you decide to eradicate moaning and complaining from your life. Instead, talk about what you want. Whether you’re keen to make it on your own or you’re dreaming of teaming up with someone else on a collaboration, you have great financial Stars in the year ahead. Forget about whatever happened in the past. This really is a year when things can change for you re cash. If you’re single and wondering if and when you’ll meet someone, hang in there; this could be the year, as a New Moon eclipse triggers your Love Zone. (But first you have to move on from the past). Attached? Use this year to reinvigorate your relationship. Bring back the romance.